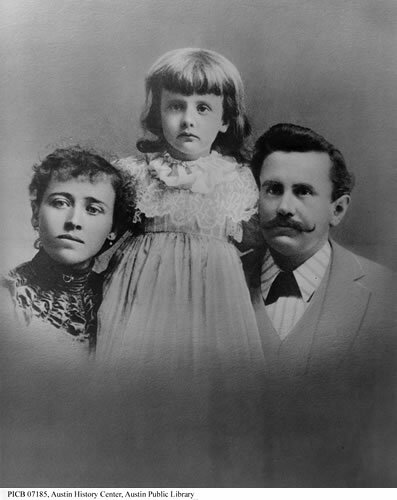 O. Henry (William Sydney Porter, right) with his daughter Athol and wife Margaret Porter, early 1890s (Wikipedia). "The Gift of the Magi" originally published in 1906. Being an ardent flower gardener I've been collecting only European hand-blown glass flower ornaments for years but could not display them until I found the perfect artificial tree. Two years ago I DID find my tree - made in the USA, yet! Once my tree was decorated it became a part of my home and my heart I keep it up and decorated all year-round! Such incredibly beautiful ornaments don't belong stored in a box! I strung my tree with 1600 lights. The majority of my hundreds of hand-blown glass ornaments were made in Germany, where the artistic technique originated and continues to flourish. Others were created in Eastern Europe such as my garland from the Czech Republic. "Watching Their Flocks" was composed and performed by David Nevue and is from his Christmas album, "O Come Emmanuel".